Global workforce expert ManpowerGroup says it has identified the top five positions that are toughest to fill in Singapore. They are accounting and finance talent; sales representatives; engineers; secretaries (including receptionists and administrative assistants); and, marketing, public relations and communications specialists. 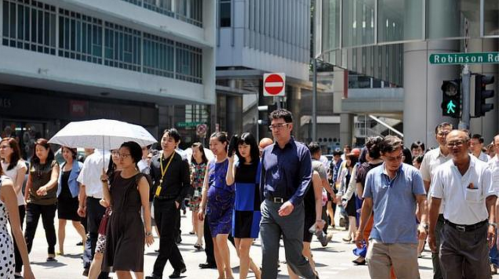 In a report on Monday, Ms Linda Teo, ManpowerGroup Singapore's country manager, said that of the 234 respondents here to its 2015 Talent Shortage Survey, 40 per cent of them say they find it hard to fill those five positions. She attributed the shortage to "widespread restructuring that is sending tremors across sectors, with shocks being added from a tightening labour market". Globally, the top five talents that are hardest to find are skilled trade positions (especially chefs, bakers, butchers, mechanics and electricians), sales representatives, engineers (mechanical, electrical and civil), technicians and drivers (particularly of heavy vehicles), the survey found. Manpower Group questioned 41,700 hiring managers in 42 countries and territories for this 10th annual survey. It found the proportion of global employers reporting talent shortages hit a record high of 38 per cent since 2007, with Japan employers topping the list at 83 per cent. In 2007, the difficulty level was 41 per cent. However, more than 20 per cent of employers were still not pursuing any strategy to overcome these challenges, said the firm. "Employers do not seem to show an urgency to put into place strategies not just to tackle the talent shortage but to stay ahead of the curve to find individuals to meet their business needs, said Ms Teo. "Today, merely recruiting and placing candidates will not yield results. Employers need to encourage a learning culture among their employees and to get them to chart their own careers." Employers also need to explore untapped talent pools such as youth and older workers, and look to enhancing benefits, she said. On the flipside, a global career survey of employees released in April, sheds light on talent shortage from the other side of the fence. Findings from the Global Career Aspiration Survey by Right Management, the global career experts within Manpower Group, signal a disconnect between employee aspirations and the performance demands of employers worldwide. The survey found that only one in 10 of employees define career success as high performance and productivity. Further, 45 per cent of respondents rank work-life balance as their No.1 career aspiration, and the top definition of workplace success was enjoyment and happiness. Said Ms Teo: "Understanding employee career motivations and aspirations are key to creating a high performance culture that motivates individuals to do their best work. "When people have ongoing career conversations with their managers, they experience effective career development and are more likely to be engaged, motivated and ready to take on new challenges."